As a social media marketer I spend a lot of time posting, scheduling, replying, and curating existing online content. The online world and social media is an exciting place and it’s something I probably spend way too much time doing. A long time ago I realised that businesses didn’t have the time to do any of this, so I became (amongst other things) a social media manager, looking after clients’ social media channels. Now I’m on it even more! But social media management done properly has a cost implication. 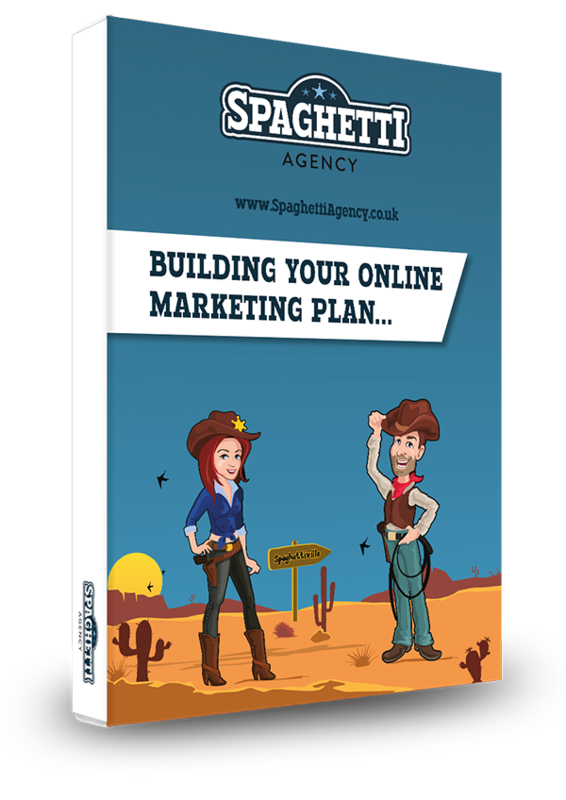 So if you can’t outsource to a social media manager, how do you manage your time to get the most out of it for your business? 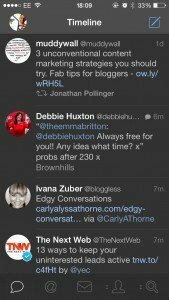 Here are my six favourite tools for managing mine and my clients’ output on Twitter. Owned by Twitter itself, Tweetdeck lets you monitor and schedule your output on Twitter. Years ago it used to let you manage your Facebook updates too, but Twitter soon stopped that when they bought it. In spite of its slightly buggy nature, I really like Tweetdeck. The columns are awesome as they allow you to customise how you see the information. For example, I have columns for my home timeline, mentions, interactions (including favourites and follows) as well as popular hashtags and even clients’ competitors’ feeds in their own columns. Although it can look complicated, I like the interface, and the simple drag and drop feature for the columns makes it simple to change to suit you. The desktop popups are perfect for me although you may find them a distraction. Tweet, reply, interact and schedule. Tweetdeck does it all. Although I’m a Tweetdeck user for interactions and monitoring I find the scheduling a pain and often the pop up fails on the office spare laptop (running on Windows 7). So for scheduling, our team in the office use Buffer. We all love the interface. The simple WordPress-like large buttons are begging to be clicked and the pre-set schedule system is awesome. Just decide when you want to send scheduled tweets out and decide on the best times (Buffer can even suggest this for you). Then set the time, as many a day as you want. 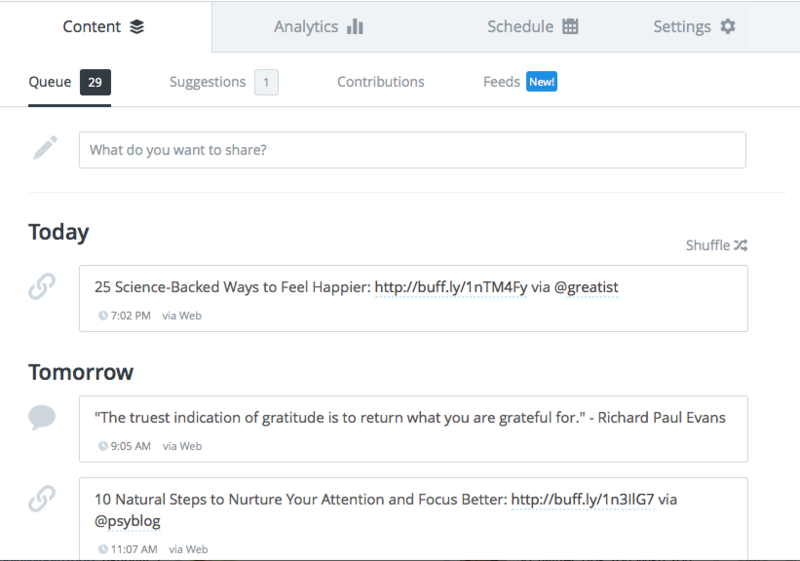 Then whenever you add tweets to your Buffer they are added into the next available slot on your schedule – awesome. Buffer gives you statistics on each tweet telling you the ‘Top Tweets’ sent and also clicks, retweets, favourites and reach. 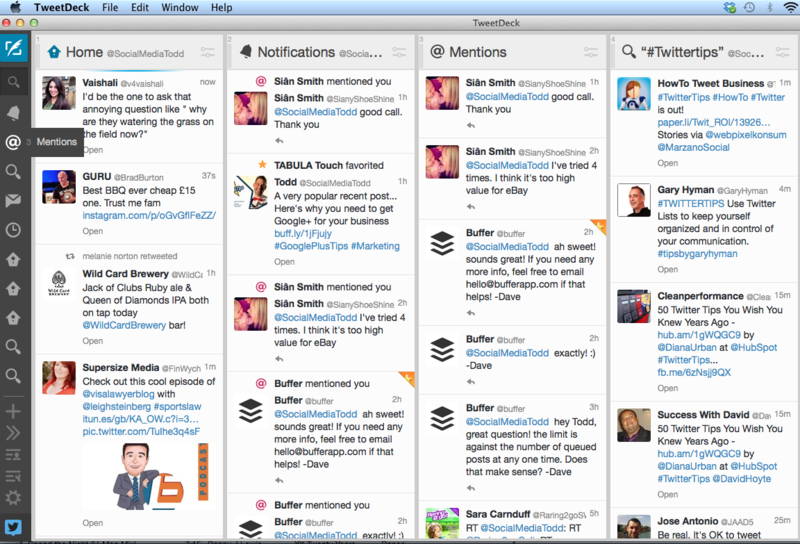 You can even resend the most popular tweets from the Buffer iOS app by clicking Re-Buffer. The recent addition of Buffer Feeds allows you to add your favourite websites into your feed and then you can add them to your schedule from there. This feature rocks because you no longer have to go to the website and Buffer them – they’re already there! The best feature has to be the browser extension though. No more copying and pasting the URL and then creating a title for your scheduled tweets. Just go to the web page and click the Buffer extension on your browser and it brings up the title, the link and you just add your comments and click to add it to your Buffer! JCF use the Awesome plan and that gives us mountains of scheduling (200 posts per account schedule at any one time), the new RSS feeds and also the ability to add up to 12 accounts. Buffer rules for scheduling, analytics, the simple interface and brilliant extensions for your browser. On the road and in between meetings you can’t use a desktop and for all the scheduling and monitoring you still can’t beat actual interaction. So when I’m live on Twitter I need a good app for my iPhone. I’ve used so many over the years but I refuse to leave Tweetbot. Tweetbot has been my weapon of choice for my iPhone for about three years and the recent update has made it more awesome. Tweetbot allows me to manage multiple Twitter accounts and customise how the app works. The simple to use app will offer the everyday user a really good app and the look and feel makes it a really cool app to use too. But for me the settings are the key. You can customise the tool bar on the bottom to have your five favourite options. Mine are home, mentions, DMs, search and Retweets. You can change this directly from the feed too, which is really user-friendly. The search allows you to save searches so I have a list of favourite searches and this is different for each account you have too. My favourite features are the multiple notification sounds, and the ability to have no sounds for some accounts if you wish. The mute button has been around for ages on Tweetbot and the recent addition to real Twitter proves it’s a popular third-party tool. But my top feature is the user search. You can actually search for users while you’re composing a tweet. You know when you find a new supplier or client or whatever and you’re typing a tweet and realise you don’t follow them? In Tweetbot you can just type @ and then start typing and then search Twitter directly in the composing tweet area. Trust me, this is an awesome feature. I use the paid version which is £2.99 and well worth it. With Tweetbot you can customise your app, manage multiple accounts on the go, use saved searches and find users easily. If you need real stats and figures to show your boss then Hootsuite has some cool reporting options. Although I’m not a big fan of the interface on Hootsuite, the reporting is really good. It includes lots of metrics, from new followers, graphs about interactions, and even a Klout score next to the top mentions. You can adjust the date range and even tinker with the layout of the reporting. I pay for the upgraded version as you get better reporting options. Hootsuite is OK for scheduling and great for providing stats in nice a PDF reporting package. Klout has always fascinated me. The social media scoring system attempts to show the more influential users on a scale of 1-100. Although I’ve never been obsessed with my Klout score (OK I have really) the app offers a hidden tool that I really like. In the iOS app you can drag and drop suggested content based on your preferences directly into you composing box and tweet it. It finds me some really cool content and I can even schedule it from the app. Of course Klout isn’t really about scheduling or finding new content, it’s more about showing your influence on social media. There are lots of thoughts about Klout and its usefulness but I like it. If you want to improve your Klout then engaging with influential users is one way to do it. The Klout app has been rather buggy lately but I’m hopeful that the next update will fix that. 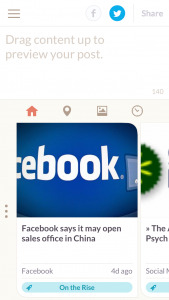 With Klout you can find useful content and schedule it direct from your phone. Twitter isn’t all about numbers, but you can’t escape the fact that people do judge you and your success on your follower numbers. 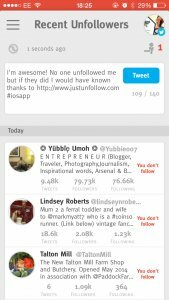 Although I always bang on about having an engaged audience rather than a large one, the JustUnfollow app allows you grow your following by unfollowing people who you don’t need or want to follow. This could be because they’re not following back, or because they’re not helpful or interesting to follow. Or maybe they just don’t use Twitter very much. I do use another system to grow followers too (Manage Flitter) but JustUnfollow is simple and effective and not as complicated. I used to love Twitcleaner but since Twitter made it hard for the developer it disappeared off the market. JustUnfollow gives me the features it had, plus some more too. I can easily find spam followers, new followers, recent unfollowers, and inactive accounts. The ability to unfollow accounts that no longer post is the feature I loved from Twitcleaner. Set it to 1, 3 or 6 months of inactivity and it will list them all with an unfollow button next to each account. When you’re trying to grow your following on Twitter, the great content you share and the interactions you have will work wonders, but following others is the main tried and tested way. Twitter does limit your following, and if follow too many you will need to unfollow before you can follow more. Usually you will reach the 2001 mark and Twitter will put a block on new following until more people follow you, so JustUnfollow is great for deciding who to bin off in favour of new and more exciting accounts. It’s not a tactic that Twitter like, so be careful how you follow and unfollow, but I’ve found it really useful. And try not to follow too many new accounts too quickly either, as your ratio will make your account look unappealing to follow. The iOS app I use is the paid ‘Pro’ version which gives me all the access and endless multiple accounts. It makes it a £20 app but then I pay that for a month for some of our software packages. JustUnfollow is great for growing followers, managing inactive followers and spring cleaning your Twitter account. Save time on social media – use it effectively. Social media and Twitter can be a big time-drain on you and your business. Using effective tools will limit the time you spend but maximise the output. 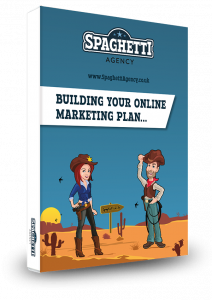 If you want to create a strong strategy and grow your social media presence then you’re going to have to put in the time as well, but these tools will certainly get you started on right path. What are your favourite tools? How do you interact with your audience on Twitter? Please comment below with your tips or thoughts or, if you found this post useful, then share it with your audience.